Fantastic patina and soft gold detail. The original mirror plate has the odd slight age spot here and there as expected consistant with age. 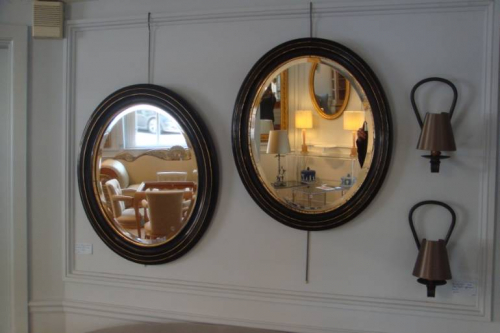 Tho they are a pair one mirror is slightly smaller by 2cm in width than the other.